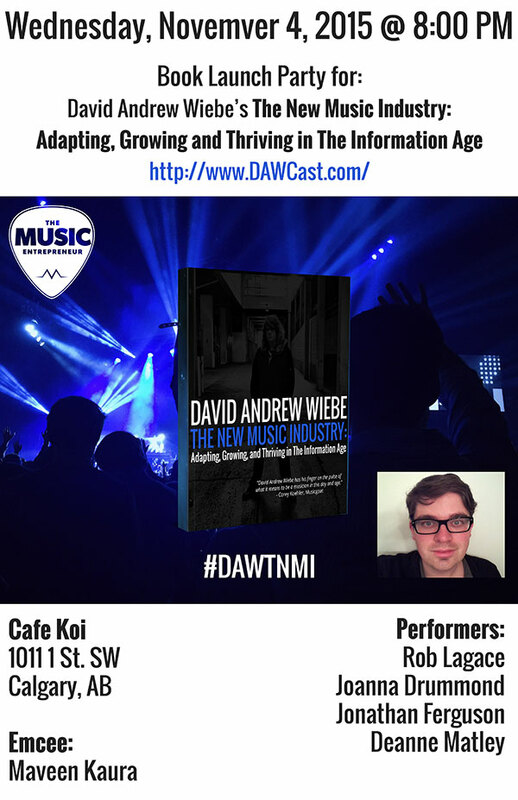 The New Music Industry: Adapting, Growing, and Thriving in The Information Age book launch party took place on November 4, 2015 at Cafe Koi in Calgary, Alberta, Canada. We had a lot of fun – sorry if you couldn’t make it! Book signings will be held in the near future. Make sure to check back on the events page often. if you’d like to hear the speech and Q&A session from the launch party, simply click here. We recorded it knowing that a lot of you couldn’t make it even if you wanted to. The book is now available through a variety of outlets, and you can purchase both digital and physical copies depending on your preference. 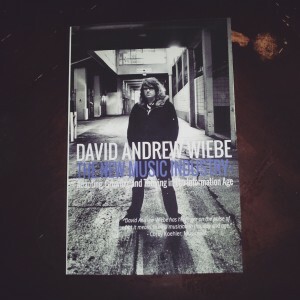 The physical book looks amazing if I may say so myself (see to the right). The feedback I’ve been getting on the book has been absolutely amazing. With that in mind, creating an online presence for the book still requires that I get reviews on Amazon.